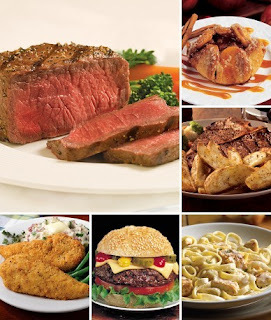 Wow, head over to Mamasource to score a great deal on Omaha Steaks "The Perfect Dinner Package". This package regularly costs a whopping $178, but right now you can get it for $59 shipped! To sweeten the deal, you can use the code OMAHA5 to save $5, making it only $54! You can use these items together for a big party or get-together, or split them up and get a few nights worth of dinner!